TAMPA, FLORIDA – Google recently announced the launch of a new search algorithm called Hummingbird. On Oct. 4, it announced the release of Penguin 2.1. Forums lit up over the weekend as SEO experts discussed what these changes could mean to search results. First, a word about Hummingbird. Google told Search Engine Land‘s Danny Sullivan the name comes from being precise and fast. It started using the algorithm in August, but didn’t announce it until Sept. 24. Many experts have declared this update to be the biggest since Caffeine in 2010. Danny is great with descriptions, and he compares Hummingbird to replacing a car engine from the 1950s with a modern engine from today- that’s how drastic the update is. He compares the Panda and Penguin updates to changing an oil filter in a car. Hummingbird is an “out with the old, in with the new” update. 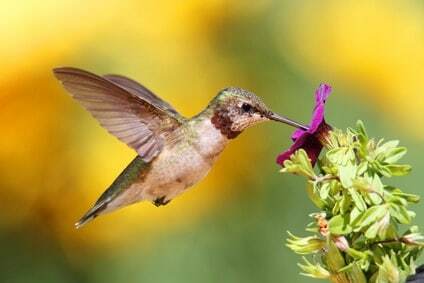 Google also told Sullivan Hummingbird is organized in a way to serve today’s search demand, instead of the needs and technology that existed a decade ago. Can you say mobile search? That’s what we’re talking about here. It appears Hummingbird provides a more intuitive search, which better meets the needs of today’s Internet users, many who ask questions of their smart phones, and type more conversational search phrases. Google has focused for the past several years on making it easier to ask Google a question via your phone and quickly get an answer. Hummingbird is an extension of that, the Venture Beat article states. Google’s Matt Cutts announced the Penguin release on Twitter, and said it would affect about 1 percent of searches “to a noticeable degree.” I checked some forums over the weekend, and there’s a lot of discussion going on about backlinks with the release of Penguin 2.1. SEO pros working on client websites appear to be putting great effort into cleaning up link profiles and disavowing links to avoid being hurt by the Penguin 2.1 update. With those statements come the reminders that these “fixes” take time. Using the disavow tool in the Google Webmaster tools is a good idea, and building backlinks naturally is even better. But it’s important to remember that natural link building does not happen overnight. As a reminder, Penguin is a part of Google’s overall search algorithm that periodically seeks out sites deemed to be spamming Google’s search results, yet still ranking well. Penguin has its sites on paid links in particular, according to Search Engine Land. In everything I’ve found over the weekend, one old thought continues to be front and center in my mind: You must be authentic when it comes to your website. The best SEO companies know this. Keep populating your site with relevant, original content. Share it on your social media channels to help gain readers. Write about topics you believe your potential clients and customers want to learn more about. Do this over and over again. I remain convinced that in time, you’ll see the results you wish to see on your website. I just emailed you dear Pankaj. This is a good post! Penguins, Pandas and Hummingbirds are the lovely animals of Google who are keen on chasing the malpractices in the SEO world. Yet SEO is not actually dead. Its only the people who are trying to fake SEO that are being destroyed. Hope you will let us know about the future updates and its ill effects in more detail! Dear Ali, for the last 2 days I\’ve been trying to send you an email but I failed. When I go on your Contact Us button page and click Quick Support it shows invalid country. Will you please share your email ID, my email ID is pankajb42@gmail.com. And one more thing, I\’m using Weebly for updating my website. I would like to contact you so you can help me. One of our engineers needs to look at your site as well as Webmaster central. Kindly send a note to us via the \”contact us\” button on the homepage and we will get back with you. My ranking is down from Page 3 to Page 25 after Google\’s newest update. What should I do? I have Webmaster and didn\’t get any email from Google about an issue. Will you help me? My ranking went down after the new update, what should I do? It went from Page 2 to Page 20. Can anyone help me? If your rankings have dropped, you must have violated one or more of Google\’s SEO guidelines. You may have received an email from Google if you are registered with Webmaster Central through Google explaining why you were penalized. We also offer a complete site SEO audit. It\’s the most comprehensive audit I know of. You will know exactly why your site was penalized. Contact us and talk with Matt and he will give you the details. Do you have any more related blogs or ideas related to this blog? It will help me in my further research work…Will keep following your blogs…I always prefer to read quality content and I found that in you post. Thanks for sharing. A very good resource for everybody that wants to read a good blog. I think Google is showing that they prefer a dynamic blog, always updated articles, and quality of the article. However, I wonder if this algorithm change will affect Google Adsense. I don\’t agree with the \”nothing new for SEO\’s\” part. They say they have changed the car\’s engine and put in a modern one suitable for today\’s search demands, but yet no difference! Actually there has been a lot of difference in SERP\’s and Keyword Positioning. It’s Time to Break Free of the Old SEO!